Brooklyn Charmers is a Steely Dan tribute band comprised of some of Chicago’s top players. With masterful precision and obsessive dedication to the music, Brooklyn Charmers injects a new energy into the beloved catalogue; bridging the gap between new and lifelong fans alike. 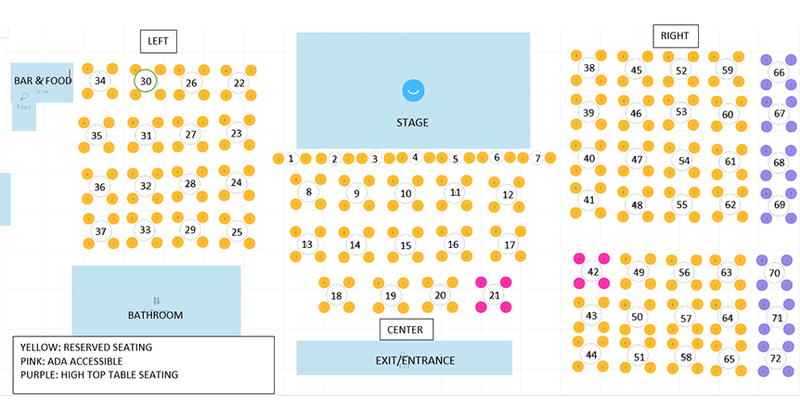 You can pick by the best available seat, or by the best available seat in the section you choose, i.e. left, center, or right of stage. Once seats are purchased, we cannot change them so please choose carefully and check your shopping cart before making the purchase. All of our seating is Cabaret Style seating, all tables are 4 person tables. We will not push the tables together for the show. No, we do not have table service or dinner service during the show. We have a small bar in the left hand corner of the venue where you may purchase wine, beer, cocktails, and snacks. If you would like to have dinner before the show please call our restaurant, The Pour House at the New Hope Winery, at 215-794-2331. We recommend reservations for dinner no later than 6:30 for our Tuesday-Saturday shows, and 4:30 for our earlier Sunday shows.